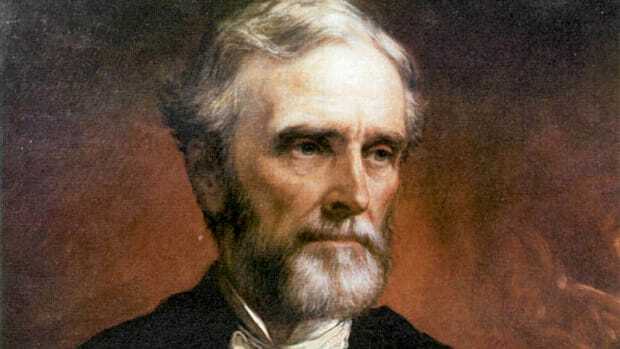 Jefferson Davis (1808-1889) was a Mexican War hero, U.S. senator from Mississippi, U.S. secretary of war and president of the Confederate States of America for the duration of the American Civil War (1861-1865). Prior to the start of the war, Davis had argued against secession, but when Mississippi seceded he resigned from the U.S. Senate. In February 1861 he was elected president of the Confederacy. Davis faced difficulties throughout the war as he struggled to manage the Southern war effort, maintain control the Confederate economy and keep a new nation united. Davis’ often contentious personality led to conflicts with other politicians as well as his own military officers. In May 1865, several weeks after the Confederate surrender, Davis was captured, imprisoned and charged with treason, but never tried. Davis had an impressive political career before he became president of the Confederacy, but he was appointed, not elected, to many of the offices he held in his antebellum career. His limited experience with electoral politics was a handicap to his presidency, and, perhaps more important, he lacked the personal qualities that made Abraham Lincoln a successful president. Did you know? 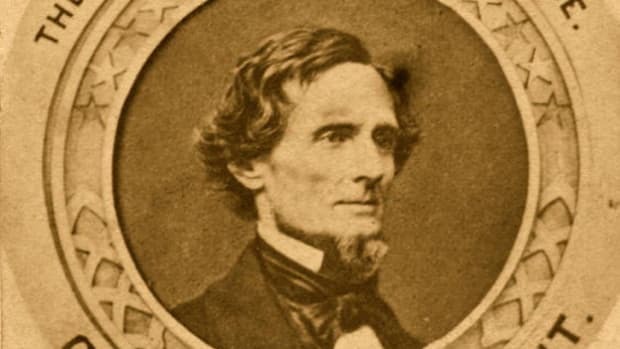 An 18-year-old Jefferson Davis was placed under house arrest while at West Point for his role in the 1826 Eggnog Riot, which started after cadets were caught smuggling whiskey into their barracks. 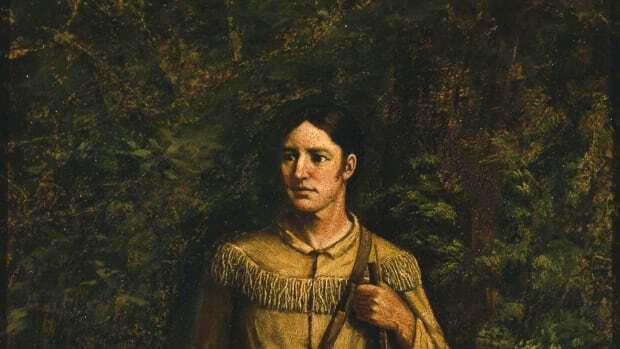 Raised on the Mississippi frontier, Davis’s life was shaped by his brother Joseph, who was twenty-four years his senior. 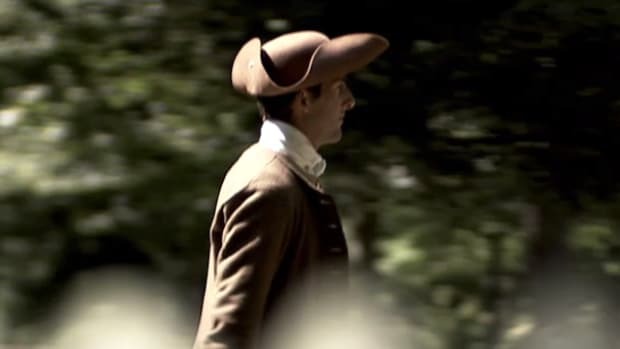 Joseph Davis made a fortune as a lawyer and planter, and he played a paternal role in Jefferson’s life for many years. After Jefferson graduated from West Point and served in the army, Joseph gave him a plantation and the slaves to farm it. 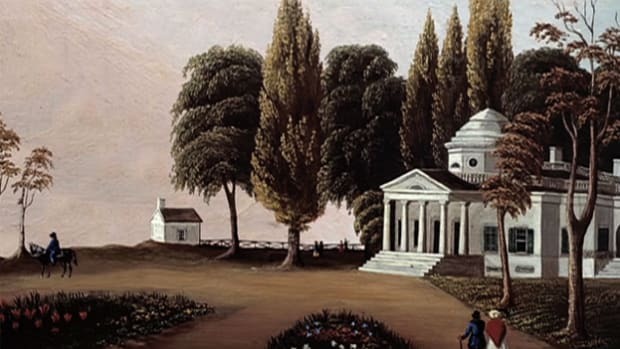 In the 1840s, Joseph managed the plantation so that Jefferson could go into politics. Jefferson Davis became a staunch states’ rights Democrat and champion of the unrestricted expansion of slavery into the territories. He was elected to the U.S. Congress in 1845-his only successful electoral campaign-and then was appointed to the Senate after he became a hero while serving in the army during the Mexican War. In the Senate he opposed the Compromise of 1850, particularly the admission of California as a free state. In 1851 he resigned from the Senate to run unsuccessfully for the Mississippi governorship. In 1853, President Franklin Pierce appointed Davis secretary of war. Davis served ably in this office and in 1857 reentered the Senate, where he continued to advocate the spread of slavery into the territories. During the secession crisis, he resigned from the Senate and in 1861 was chosen by acclamation to be the Confederate president. 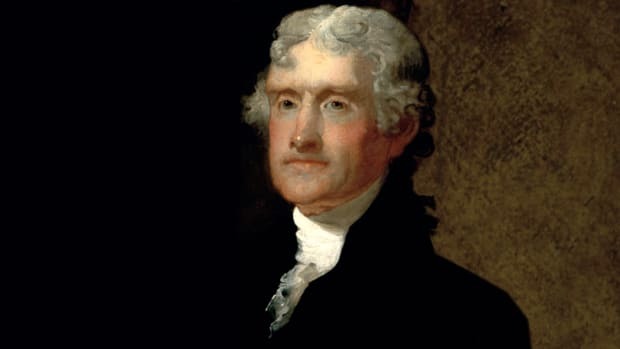 Davis worked very hard at his presidential duties, concentrating on military strategy but neglecting domestic politics, which hurt him in the long run. He could not manage congressional opposition as successfully as Lincoln, nor could he inspire the southern public as Lincoln did his public in the North. Davis was also a poor judge of people, unlike Lincoln. The Confederate president protected incompetents, such as Braxton Bragg, and he did not make use of talented men he disliked, such as Joseph E. Johnston. In April 1865 the Union armies finally surrounded Richmond, and Davis and his family fled the city for the Deep South, only to be captured in Georgia in May. Davis’s life after the war was bleak. Charged with treason, he went to prison in Fort Monroe, Virginia, where he remained for two years. In prison his physical and emotional health deteriorated, and he was never the same after he was released in May 1867. He and his family traveled abroad for two years. When he returned to America, he had trouble making a living. He worked for an insurance company in Memphis, but the company went bankrupt, and when he published a history of the Confederacy, it did not sell well. He lived off the charity of friends and relatives until his death in New Orleans in 1889. He refused to take the oath of allegiance to regain his citizenship, which was restored only posthumously by the U.S. Congress in 1978.